I’m forever his muse in shining outfits. Whenever I call him, alam na nya hahagard ko sya sa deadline or gutom ako at gusto kong lumafang. Aside from being THE WORLD’s (bakit ba, blog ko toh! I can say whatever I want! gusto ko world eh! haha!) best designer he is also my confidante, chika partner, laafang ganap member at madami pa.
Before I reveal (kung na gets nyo na wag kayong squeler at agaw trip. tumahimik!) I want to give you a briefer of who this person is. During my lowest points, sumugod yan sa balur (hindi sugod na may dalang sandata noh! exag kayo!). He made sure I was ok at kilala nya ako dahil palaging may baon na pagkain. One thing about him is he has the power of encouragement. He may not know it, but he can make my gloomiest days into sunshine. Para syang care bear na fasyon. He’s a master to everyone, a designer to many and a friend to me. It’s really hard for me to explain our friendship in a few sentences so rather than flood your screen with a whole post, I know what to do… I’ll put our funny moments for month of March. So you get to know this person behind all the glitz and glamour. Know him as the jolly person that he is. Here are some of his outfits! This month’s fierce follower designer is my good friend and care bear! 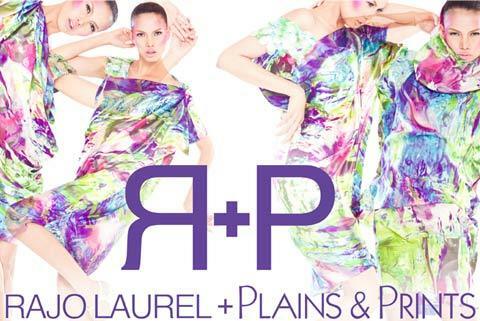 RAJO LAUREL!!! And since he is launching his bonggang collaboration with Plains and Prints later! March’s winner shall be getting an outfit from plains and prints! Yes, full outfit! masbongga pa yan sa kitchen showcase ng wowowee! And even ko kung forte nyo toh… WE (nacompromiso ko na si Rajo bigla.. i have to ask him tomorrow) will be meeting you personally to hand your gift! Take one na si V since for sure sasamahan nya ko! PS. I don’t own the fectures. Galing sa net yan. wag nyo akong idemanda. Don’t stop believing! Hold on to that feelinggggg!